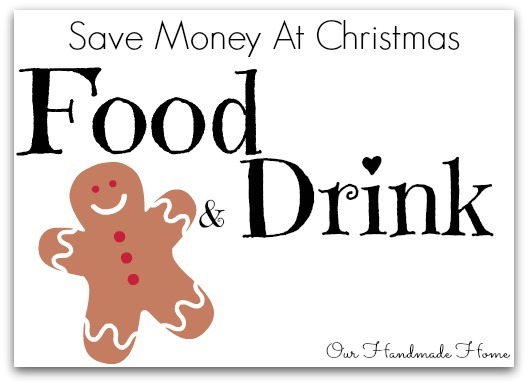 I've been hosting and cooking for large crowds for my last 12 Christmases and I thought I'd share with you how I plan and organise our festive celebrations on a budget. 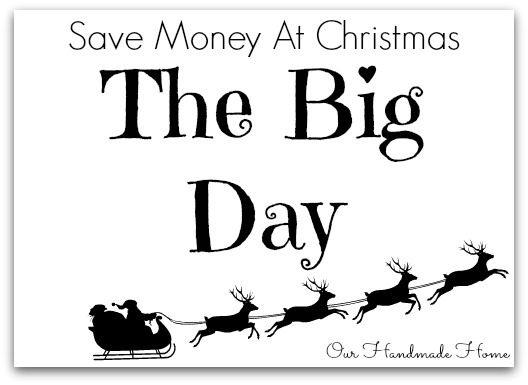 I'm starting with a list of ways you can save money at Christmas. Over the next few weeks I will share my menu plans and shopping lists to show you how I prepare for my favourite time of year. Reuse old decorations - People pay a fortune now for 'vintage' Christmas decorations but really, it's all a matter of how you see your old things. 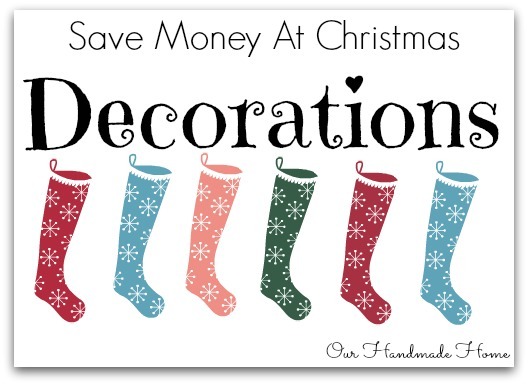 Use decorations in different places, re-purpose baubles, chop up old tinsel to wrap gifts. I'm partial to those 1970s multicoloured disco balls myself, they remind me of my childhood and I refuse to part with them. Shop in charity/thrift shops or ask on freecycle - Best time to acquire old decorations is probably mid January but it's worth having a look round just now. Invest in an artificial tree - I know, I'm saying 'save' by investing but you can easily pick up a basic plastic tree for the same price as a real tree, then you save yourself money every year that you use it. Use an alternative tree - A bunch of long decorated twigs in a big vase can look really posh and you can definitely pick up a bunch for free easily. Another alternative is an oversized pot-plant, decorated and with gifts under it. Shop the house - Look around your house and try to find different uses for everyday things - we use wooden building blocks, silver coloured candle holders and coloured plates - pick out things that are red, green or metallic and see what you can make of them. Shop the garden - All kinds of greenery are lovely at Christmas, you can pop leafy twigs in vases, on window ledges; with a bit of ingenuity and string you can make swags for the fireplace or bannisters, or a Christmas wreath for your door. Same rules go here as for the tree, ask permission if it isn't your garden, etc. Get yourself invited somewhere - This is a bit cheeky, but now is the time to try to get yourself invited to stay with friends or family for the holidays, or just for the day. Lots of people (myself included) love playing host. Still take along some home baking or similar, you don't want to tarnish yourself as a freeloader. Cook from scratch - Shops put a hefty mark-up on anything pre-prepared so the more you can do yourself the better. 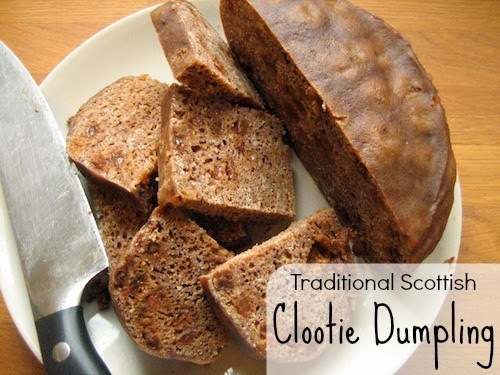 Keep it Simple - You don't need a 3 bird roast, lobster, or smoked salmon. Keep it simple and concentrate on the basics. Make a meal plan - Make it now! It is never too early, I plan for the whole of Christmas week in one go, it seems like a hassle at the time but it is worth it in the long run. Make a shopping list and stick to it - Once you have your meal plan get a definitive shopping list worked out and start buying the non-perishables now. Don't Drink Alcohol - Booze is expensive, so limiting your alcohol intake is going to save you money, and probably keep you healthier in the long run. Get guests to bring something for the feast - If you are having anyone over for a meal ask them to bring something: The dessert, the drinks or 'cheese and crackers' are all good ways to share the cost. Re-gift - Another cheeky one; but if you get given lots of things you don't need, don't like or don't want then re-gift to a more appropriate person, it is a good idea to remember who gave you the gift so you don't re-gift back to the same person... that could be embarrassing. 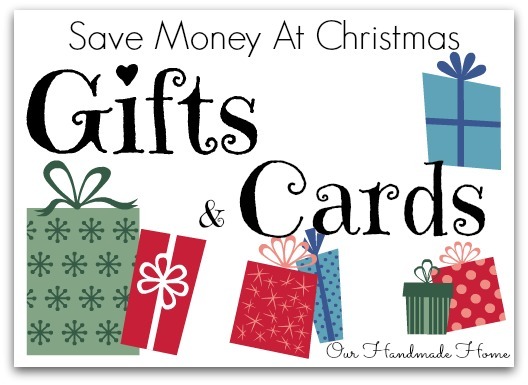 Agree a budget for gifts - Have a chat with your circle of friends or family and decide on a budget for each other's gifts - I find £5 a good round figure. Better still, call a truce on gift giving, or decide to just buy for the kids. Don't buy novelty gifts - An inflatable zimmer frame, A bubble wrap boilersuit .... hahahaha... nope... not that funny... just a waste of your precious, hard earned cash. Make your own gifts - Pinterest is full of amazing and simple ideas of making your own gifts, gift baskets and sweet treats - You needn't be an expert knitter or cook, some ideas are really simple. Pimp-up cheap gifts - A bit of cellophane and some ribbon can make a poundstore find look like a harrods purchase. Wrap with brown paper - Brown Kraft paper is a classic, It's much cheaper and sturdier than other options and if you want to jazz it up there are loads of simple ways to make it more eye-catching, try adding ribbons or stamping the paper to make a pattern. Go for a winter walk - walk through a park or woods, best time to go is after lunch but before dessert, its a good idea to leave someone at home to get the hot chocolate ready for when you get back. Play board games - Dig old games out of the loft if you have some, or play a game like charades or 20 questions where you don't need any equipment. Or try to make-your-own twister game. Spend precious time with the kids - Help them set up their toys, play computer games with them... all that jazz... We all remember the Christmases we had as kids, focus on the important stuff and make memories you'll all treasure. 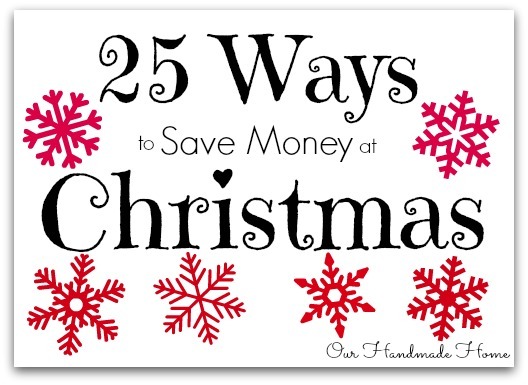 So there you have it my 25 ways to save money this Christmas! I know there are loads more, feel free to share your ideas in the comments below! Oh yes, that is a great idea! My sister made brilliant draw-string bags from fancy Christmas fabric, she collects them once the gift is unwrapped on boxing day so she can use them year after year. I love point 5 about finding your own tree... we came across a sitca spruce last year and are hoping one year it will be big enough for some tinsel! Is it too small to tuck presents under? Spruce can grow fast though, it won't be too long I hope.